Due to the changes in the law concerning the use of poison to combat weeds, Kemp has developed a weed brush. This weed brush removes weeds in an environmentally friendly manner and is therefore a good replacement for the poison. 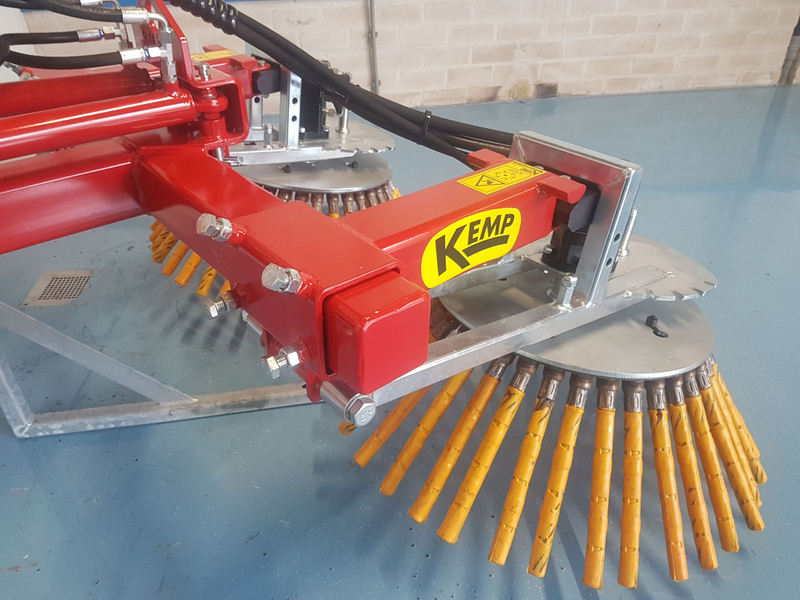 The weed brushes from Kemp are hydraulically driven, due to this rotating movement the weeds are loosened. 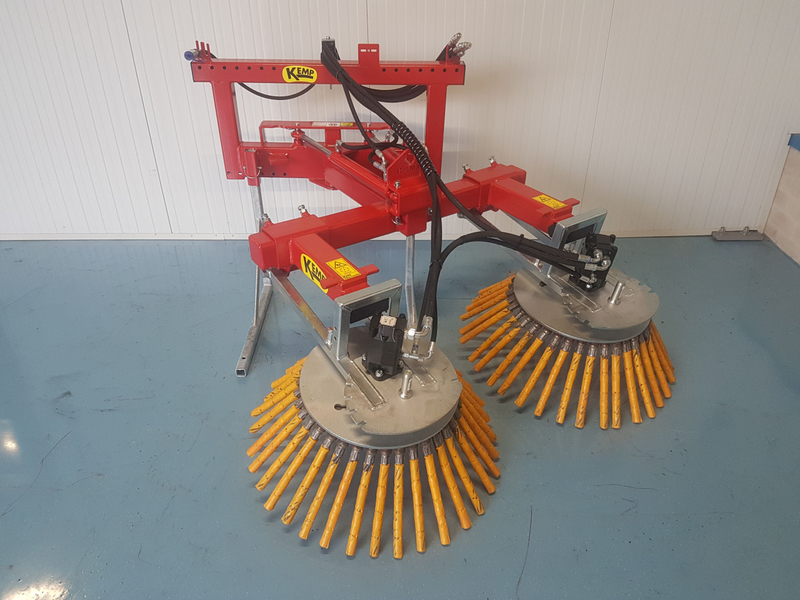 The weed brush is designed with a oscillating construction, so that the brush is ground-following, therefore it is not necessary to correct the height for irregularities of +/- 15 cm. At the same time, the angle of the brush can be adjusted by lifting the frame or lowering it for a more or less aggressive effect. 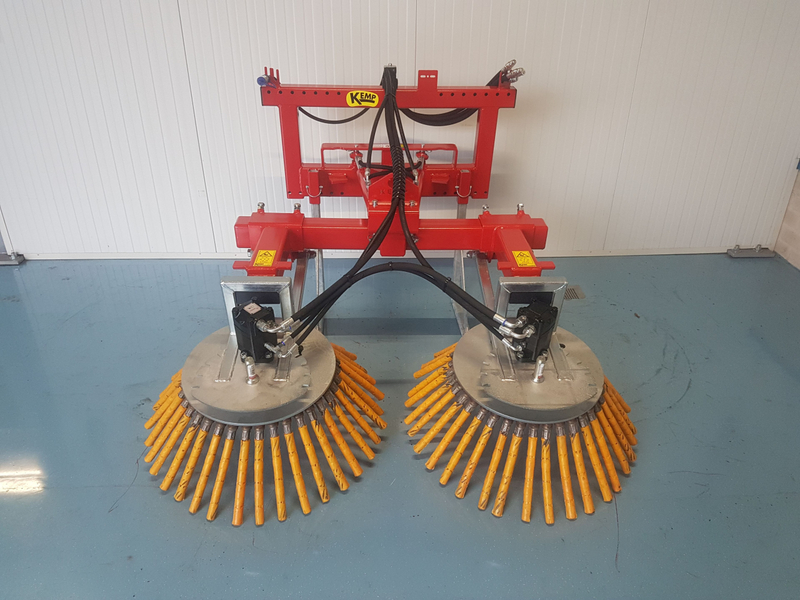 The double weed brush can be connected to (mini) wheel loaders, (mini) excavator, tractor, forklift, etcetera, as long as the minimum oil yield is 40L and the machine is equipped with a non-pressurized return. The double weed brush is an innovation on the standard weed brush. The advantage of a double brush is that a larger surface can be brushed in the same time. The brushes have the same direction of rotation so that the dirt is drained on one side. 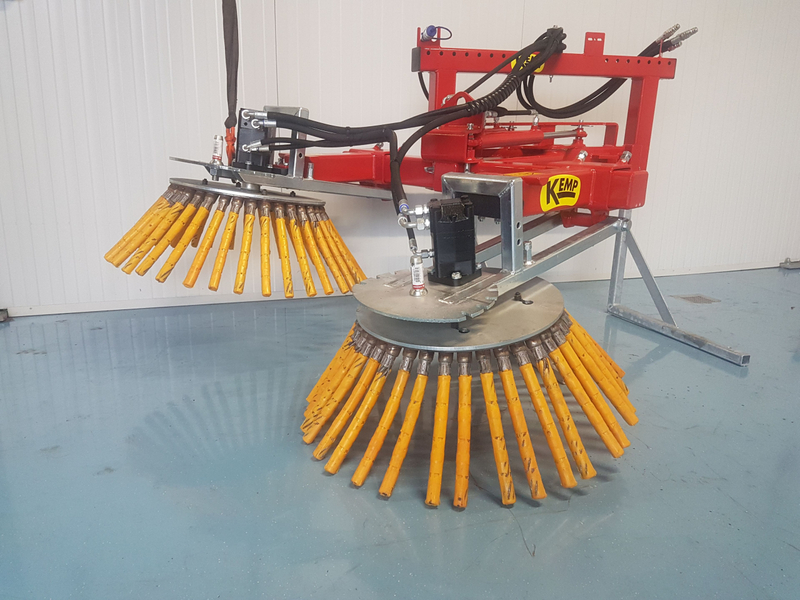 The double weed brush is available as a fixed or hydraulically pivoting version. 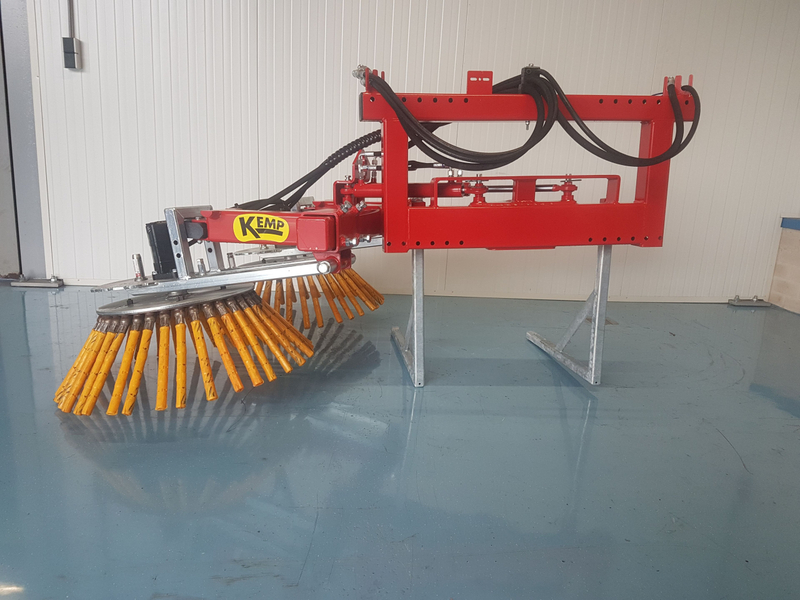 By using a hydraulic swivel function with the pivot point against the vehicle, a large swivel range is possible, namely 70 degrees to the left and to the right, so that the weed brush can reach far next to the vehicle and thus there is also a good view on the brush. In the case of serious contamination, there is the possibility to swivel as much as possible so that brushing is done with two brushes in a row. This makes the operation more aggressive. The fixed version is suitable for an excavator with turn-tilt head. A second advantage is that two brushes adapt better to uneven surfaces than one large brush, because both can oscillate independently. The diameter of the brush is 750 mm. Available with a brush made of sheet steel or steel cable. The brush can be operated with two hydraulic functions. 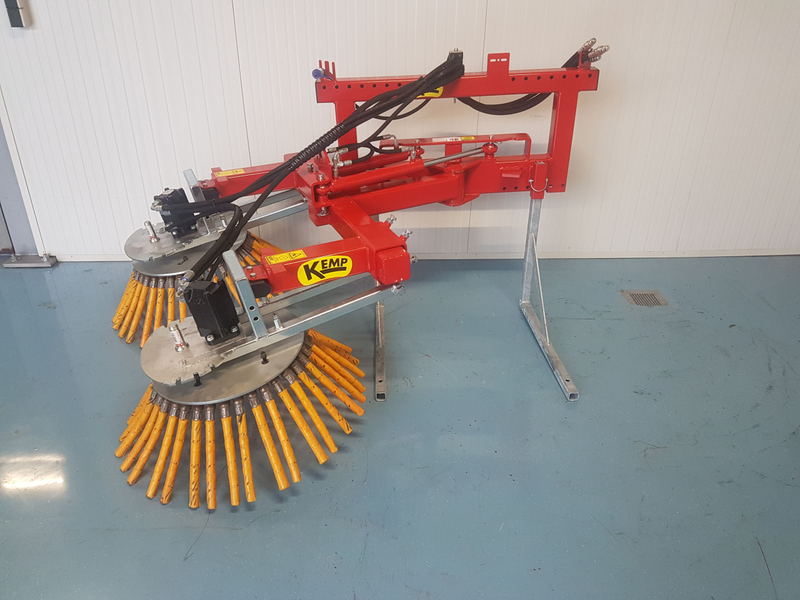 The double weed brush is available with the attachments that belong to your vehicle (for the attachment parts, see the document: Kemp attachment parts). Rubber flap: The rubber flap ensures that the weeds do not fly far away. The rubber flap can be adjusted in several positions. 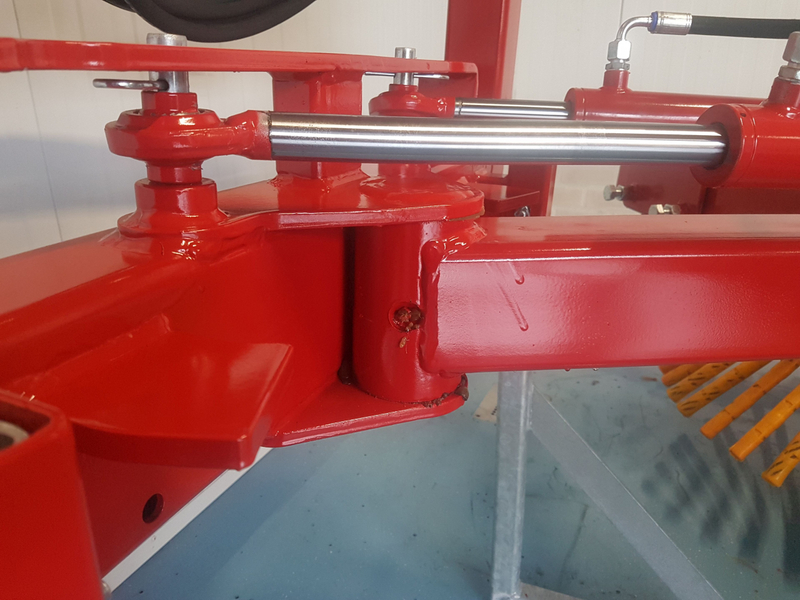 Removable attachment parts: It is possible to order the attachments not welded but mounted with bolts and nuts. This allows you to easily replace the attachments when necessary. Electric operation: With the electric control, the rotation and pivoting can be operated with 1 hydraulic function. Joystick with magnetic base and cable: This option is required when operating electrically from the vehicle if it does not have an operating function with three positions. Ball valves: When there is 1 hydraulic function, use can also be made of ball valves for pivoting. By turning the brush with the ball valves open, the brush will also pivot. At the moment the brush is in the correct position, close the ball valves and you can brush. 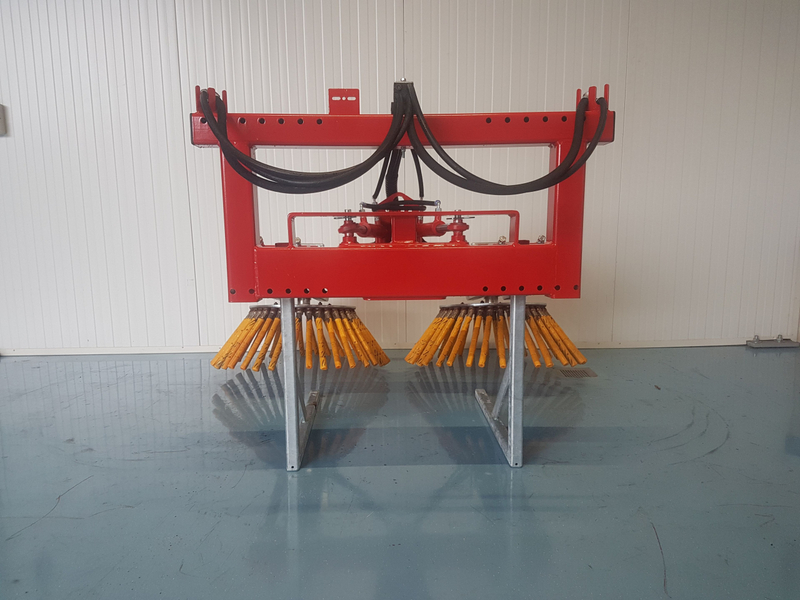 Non-pressurized return connection: If you expect to use the weed brush intensively, it is our advice to place this option. Overpressure / after-turn valve: At an operating pressure above 225 bar, an overpressure must be installed to prevent overload. The after-turn valve is to relieve the hydromotor when suddenly stopping or changing the direction of rotation of the brush.